Premium tinting quality with extremely high colour brilliance and durability. Suitable for intensively coloured paint coatings on walls and ceilings in the interiors, subjected to higher mechanical loads. 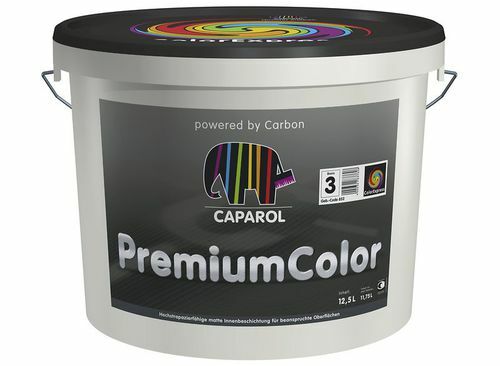 Serves as a similarly tinted protective finish for all matt (flat), intensively tinted interior Caparol paints. PremiumColor produces a noble matt surface with special colour brilliance and enhances the writing resistance (finish), if the material is tinted in strong colours. Water-thinnable/-dilutable, ecologically compatible, low odour. Very easy to touch up. Enhances the writing resistance (finish). Resistant to aqueous disinfectants and detergents.